Join Commute Options and the Downtown Bend Business Association (DBBA) at Starbucks from 5-7pm on October 5, during Downtown Bend First Friday Art Walk to SEE AND BE SEEN! Walk, bike, or carpool and remember to log your trip for Oregon’s Drive Less Challenge. 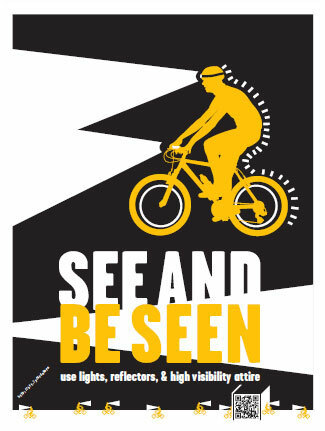 Sample fall pastries, warm up with coffee and spiff up your bike or yourself with flashy, blinky, and reflective gear from Starbucks and Commute Options!